Microsoft has released its Xbox Companion app for Windows Phone on the Marketplace, allowing users to play TV Shows, music and games on their Windows Phone devices. This app is a beefed up compliment to the embedded Xbox Live app that comes pre-installed on Windows Phones. We took a look at the app as it was demonstrated at Nokia World and found it to be a slick offering. 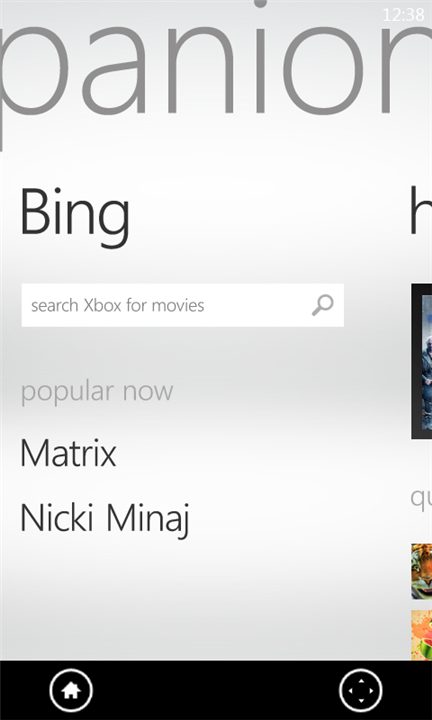 Once you’ve connected the app to your Xbox, you can use it to control the console, searching the marketplace for things to watch. You can then choose to watch items on the device, via the Zune platform, or on your console. It will also act as a remote while you’re watching something. 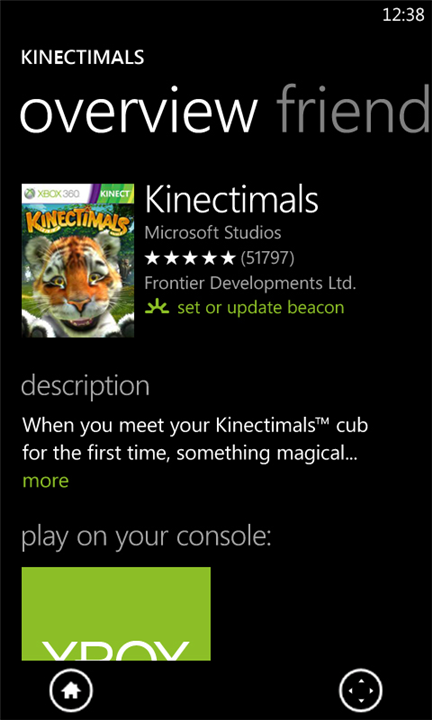 More games, like the Kinect game Kinectimals, will allow you to create characters on the device and then scan them into the console with a QR code. It also adds support for beacons (game invites) and more new features of the new Xbox Dashboard experience that rolled out to users yesterday, making the app a pretty powerful extension. You can grab it from the Marketplace here for free.